Meet our Accident-Free 2012 Volkswagen Jetta SportWagen TDI with Navigation shown off in an attractive Moonrock Silver Metallic. Powered by a 2.0 Liter 4 Cylinder Turbo Diesel that offers 140hp on demand while tied to a responsive 6 Speed DSG Automatic transmission with Tiptronic and Sport mode adding a sports car feel. This Front Wheel Drive has agile suspension, powerful brakes, and a feeling of flat-out fun. The SportWagen has sporty contours and a confidence stance accented by 16-inch Bioline alloy wheels, roof rack, and power folding mirrors.Open the door of the SportWagen TDI and surround yourself with a very roomy interior with top-notch materials. Comfortable heated V-Tex leatherette seats, a huge sunroof, and all the logical amenities make for exciting ownership. 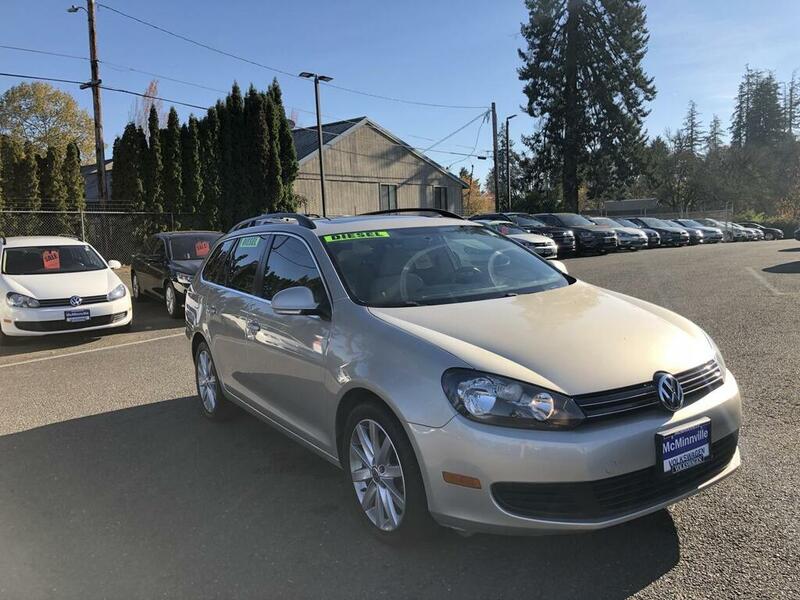 Color navigation, power windows, keyless entry, climate control, along with an excellent audio system w/Bluetooth interface make this Jetta Wagon the one to have. Safety features on this Volkswagen are amazing. Six airbags, Intelligent Crash Response System, ABS w/Electronic Stability Control, helps prevent over-steer or under-steer during panic moves. It's time in life for an early reward. Life is short, smile a little more and Jetta SportWagen is always priced right! Print this page and call us Now... We Know You Will Enjoy Your Test Drive Towards Ownership!